Quintessentially mid-century, this Swedish rug, with its pallet of red and concentric ovals, is an abstract delight. 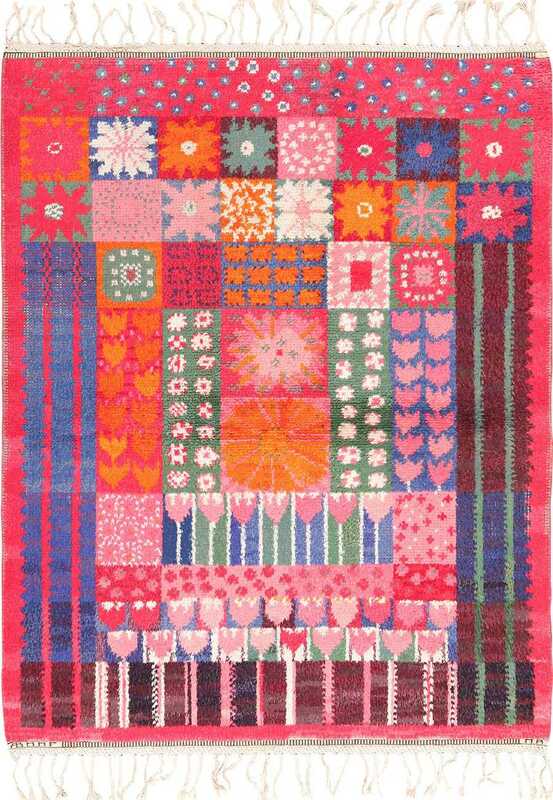 Vintage Swedish Rya Rug, Origin: Sweden, Circa: Mid-20th Century – Here is an exciting and dynamic mid-century modern Scandinavian carpet – a vintage Rya Swedish rug, featuring a bold and representative mid-century design. Characterized by its hypnotic composition and its pallet of contrasting shades of red, this highly abstract rug is beautifully suited to mid-century modern geared interiors, its undulating concentric ovals the ideal foil to the ubiquitous straight lines that characterize mid-century furniture. The relatively thick pile of this energetic carpet is also beautifully suited to modern spaces, its thickness and playfulness a charming contrast to the more staid and rigid trends in modern design. 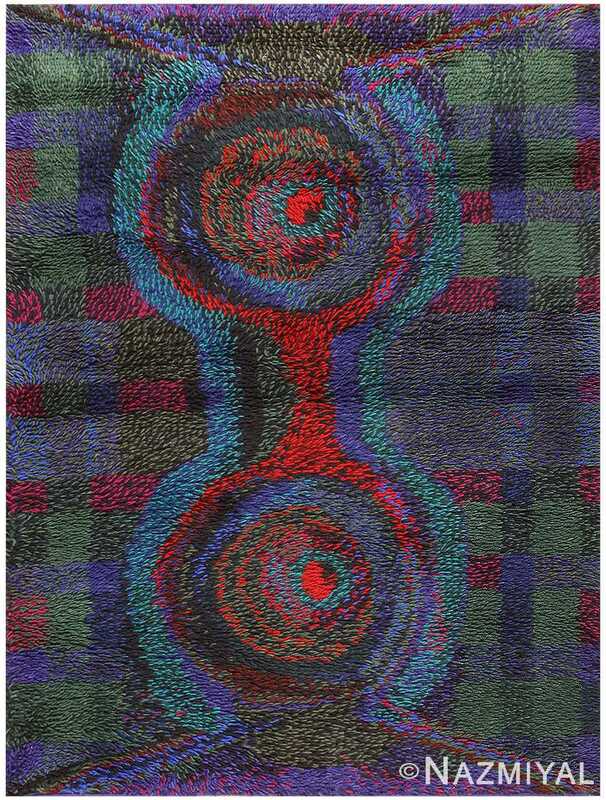 Consisting largely of four circular figures – two large figures and two small – this rug is simply composed and complex at the same time, its contrasting shades of red directing the eye up and down, left and right, in sinuous, undulating pathways. Almost organic in presentation, these eccentric circular figures make this impressive vintage rug feel slightly different every time it is viewed. 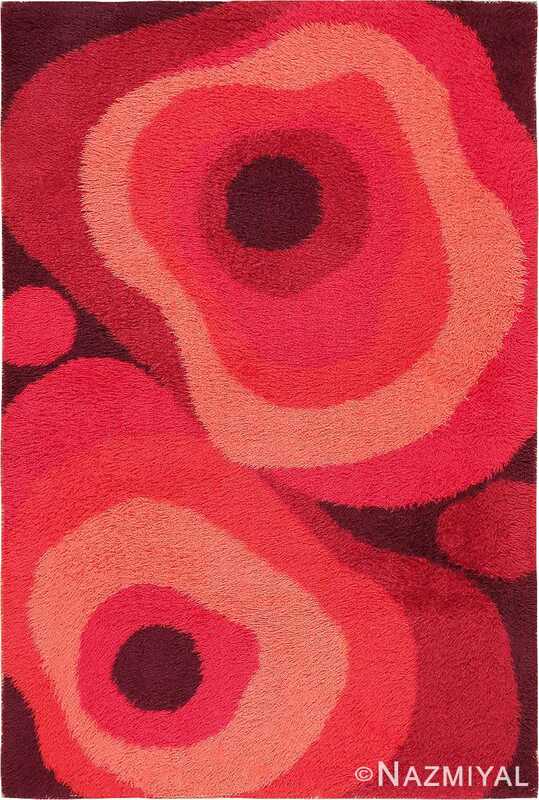 Quintessentially mid-century, this Swedish rug, with its pallet of red and concentric ovals, is an abstract delight. 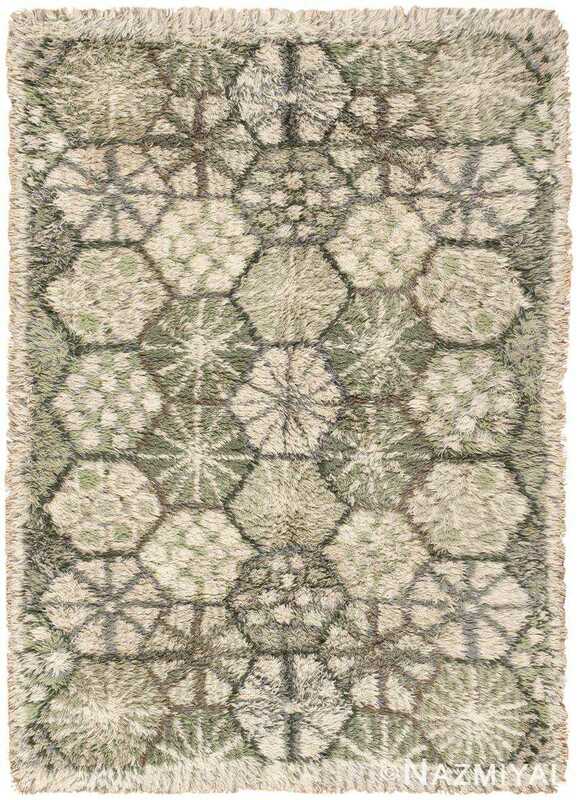 This exquisite vintage rya features a bold geometric design conceived by the highly decorated textile artist Marianne Richter and rendered in subtle green hues.